On Memorial Day 2007, Howard Nelson put a gun to his head and pulled the trigger while his wife Trish and his pre-teen children, Trisha and Luke, were at the movies. The Nelsons lived across the street from me on Oxford Road in Goshen. When Trish got home from the movies and discovered her husband in the upstairs bedroom with a gaping hole in his head, she flew into the street with his blood on her hands. She was screaming. The entire neighborhood, including my husband Bob and me, became witnesses to a tragedy. “You’re looking at her,” I said to Trish. In that instant, I knew immediately that I’d signed on to telling one of the most important stories of my career. It took us two years to pull the book together. Trish wrote most of it, her kids wrote some of it, and I wrote some of it, too. 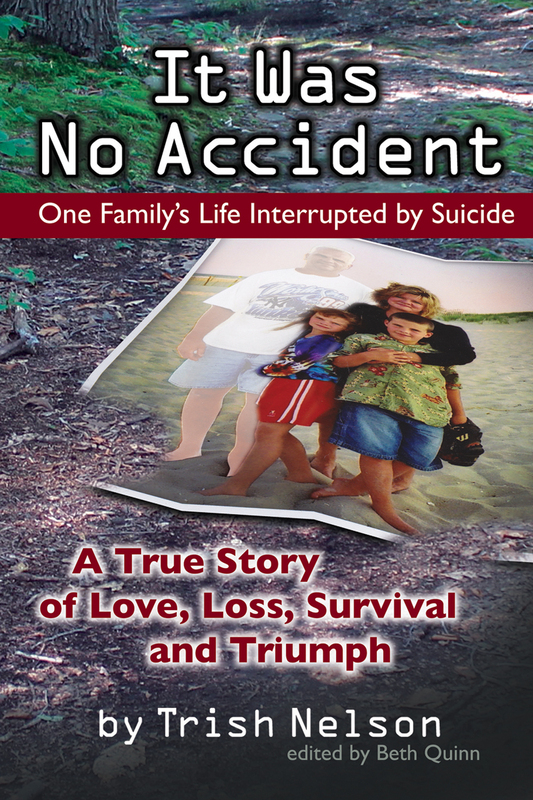 What follows is the prologue of It Was No Accident. This is a chapter I wrote about the day Howard killed himself. It is written from multiple points of view – Trish, her kids, the neighbors – about how we all became part of Howard’s death and, in a greater sense, of his surviving family’s life. The book is available at amazon.com. Trish is also available as a speaker on suicide and its aftermath. She’s good. If you’d like to talk to her, e-mail me at huckquinn@gmail.com and I’ll put you in touch.